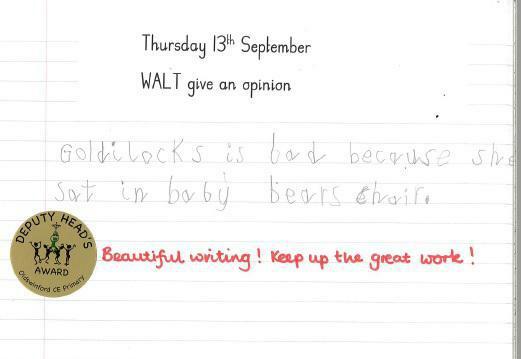 Goldilocks Gets It Juuuust "Write!" Buddy and I were surprised by an unexpected guest this morning when a striking young lady by the name of Goldilocks skipped past the office, on her way to visit the children in Year 2! 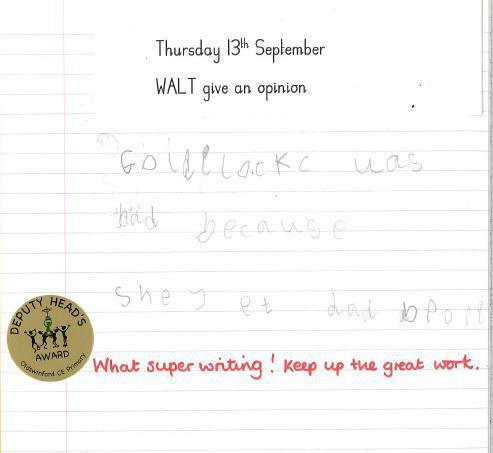 She was duly grilled about her behaviour and motives at the three bears' cottage which resulted in the children writing and justifying their opinions of her. 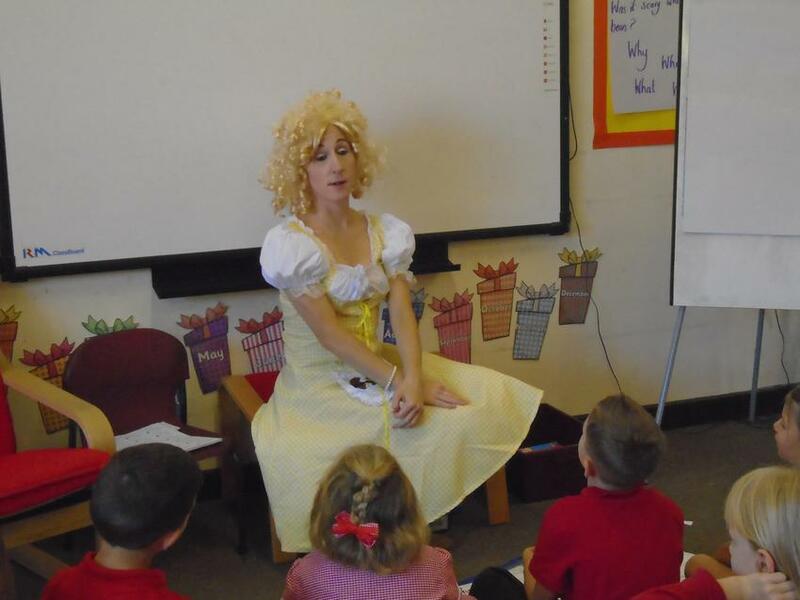 Special thanks go to Miss Tait for being such a good sport (and rocking that blonde, curly wig!) and a huge well done to Oliver and Carter who came to show me their outstanding writing.